The Lehigh Valley IronPigs (8-3) woes up at PNC Field in Moosic continued in a new season Monday night. The Scranton/Wilkes-Barre RailRiders (8-4) won 6-5 in 10 innings, as catcher Ryan Lavarnway hit a walk-off RBI single off James Pazos (0-1) to score Thairo Estrada. 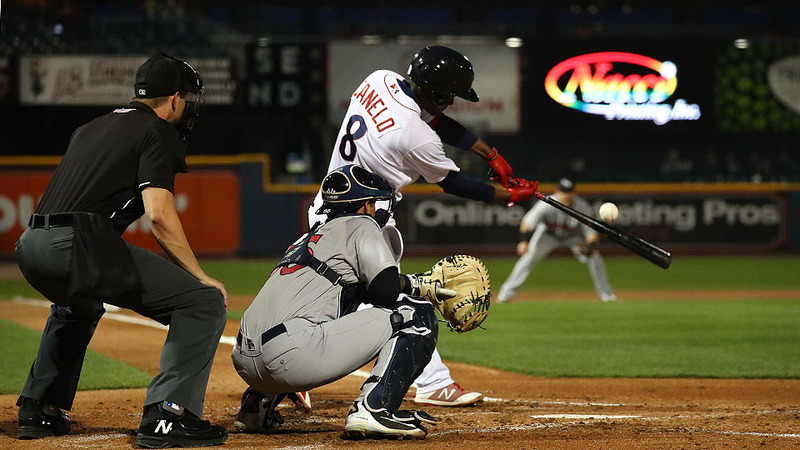 The IronPigs were trailing 5-4 heading into the top of the ninth inning. They tied the game at 5-5 as Mitch Walding hit an RBI single off Stephen Tarpley to score Phil Gosselin. IronPigs starting pitcher JoJo Romero struggled for his second-straight start. He allowed five runs in in four innings. The RailRiders scored four runs in the bottom of the second inning and a fifth run in the bottom of the third. Billy Fleming hit a grand slam while Ryan McBroom hit a solo home run in the third inning. Lehigh Valley jumped out to a 4-0 lead off RailRiders starting pitcher Nester Cortes. Malquin Canelo and Phil Gosselin both hit RBI doubles in the inning. Austin Davis stretched his scoreless inning streak to 8.0 innings as he recorded three strikeouts in two frames of relief. Yacksel Rios also pitched two scoreless innings. Cale Coshow (2-0) earned the win for Scranton/Wilkes-Barre. The IronPigs and RailRiders will play at PNC Field on Tuesday night. First pitch is scheduled for 6:35 p.m. The Pigs return home Thursday for "Major League" Night at Coca-Cola Park. Before that contest, 3,000 adults (18-and-older) will receive a Pedro Beato "Jobu" bobblehead presented by Provident Bank.